Two months into the new year, and Singapore has made quite a reputation for herself as being a very warm host towards recognizable indie monikers. 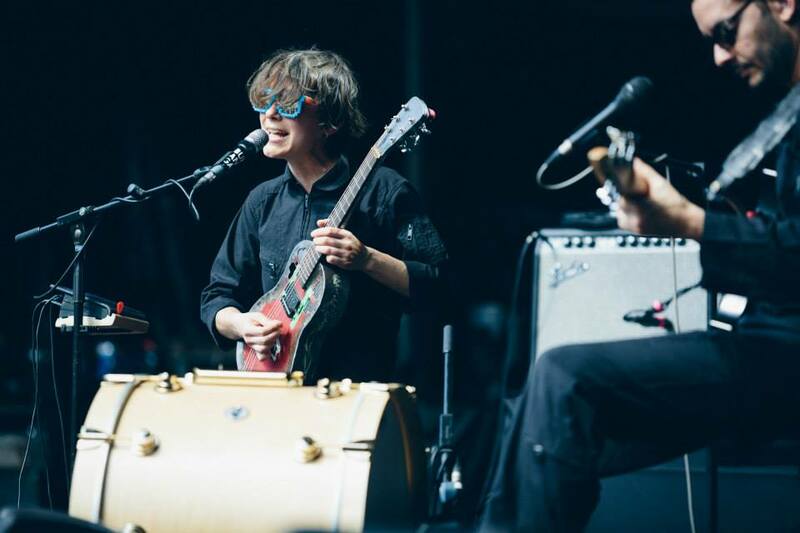 While the unlucky few are finally done shedding their sunburns from January’s St Jerome’s Laneway Festival 2014, the more recent Hostess Club Weekender from last Saturday saw a remarkable line-up that got most of the crowd crawling out of the shade. We are talking about vocal teasers like Ásgeir and King Krule, crowd anthems Mogwai and The National, and downright quirky favorite Buke & Gase. Held at Fort Canning Park where the sun showed no mercy in imprinting its rays on the grass and black hair, the afternoon started with the arrival of the Brooklyn-based duo, armed with their homemade instruments (the baritone-ukulele as “buke”, and the guitar-bass as “gase”) and fired-up chords from their latest album, General Dome. Completely decked in black, clearly the pair was not prepared for the extent of the heat. It was not long before they called for aid in the form of ice water and towels midway through their set of escalating jungled-up noises married to psychy sentences. The rest of the act was spent bouncing between upbeat tunes and complaining about the heat along with the crowd, and playful Arone made her protest absolutely clear by stringing the final note — and promptly falling off her chair. 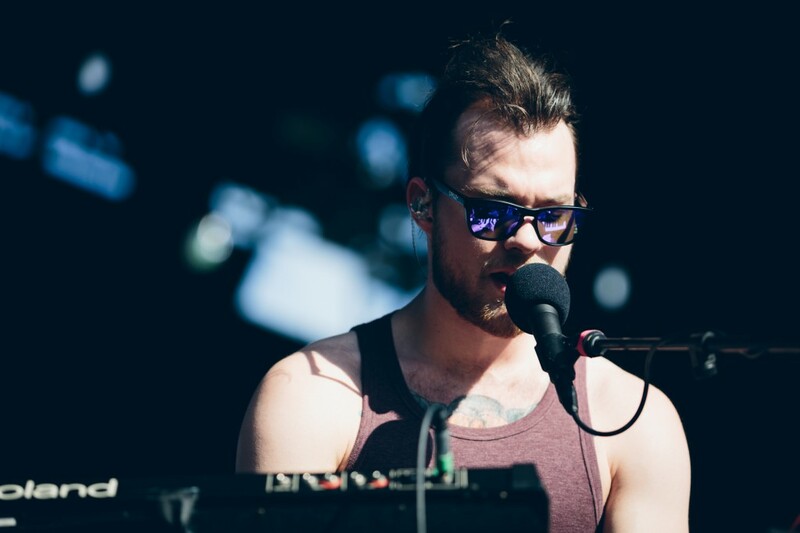 Icelandic singer Ásgeir was better prepared with his singlet over his pale Nordic presence. Alternating between the dreamy whispers of songs in both Icelandic and English, he commanded definitive beats and choruses of lingering notes on his keyboard and guitar. Tunes like “King And Cross” and “Heimförin” swept the crowd away from the sun momentarily and into the high Scandes. Barely five minutes after his cool “Thank you”, we saw bits of the crowd running forward to the empty stage. 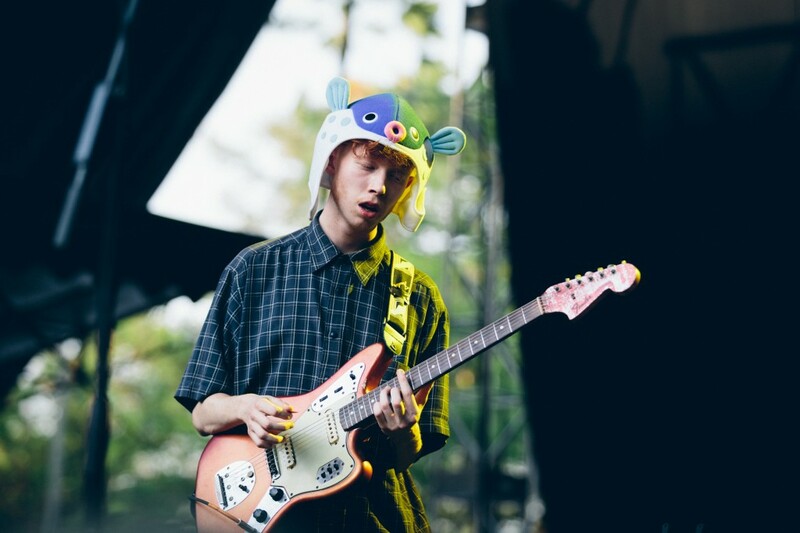 King Krule, or Archy Marshall, the 19-year-old London ginger teenager with a voice raspy with raw tales was clearly a crowd favorite — and a crowd pleaser with his pufferfish headgear statement piece. “It’s the last show in a long tour, so let’s make it special,” he said, and opened the set with groovy awkward dance moves and his signature rough baritone voice. Revisiting the familiar stories we have all heard from 6 Feet Beneath The Moon, he paced up the topics about mermaids and lizards, and slowed down “Baby Blue” until it was a tense croon of emotions. “Easy Easy” was easily one of his more popular songs, with the crowd cheering and bobbing their heads along with the tap of the beats. 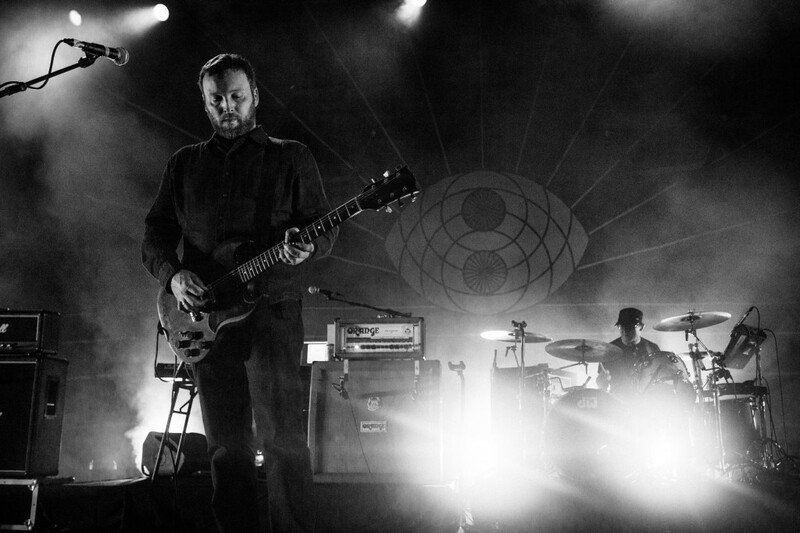 A heavy dose of teenage punk and aged ideas, his act was a perfect introduction into the evening’s excitement: night time medicine Mogwai and The National. This is what we have to say about Mogwai: It is one thing to listen to “Heard About You Last Night” in the dark using your earpiece/speaker. It is another thing to listen to “Heard About You Last Night” in the dark with the enveloping acoustics unique to concerts. To sum it up, the experience had us absolutely transfixed. 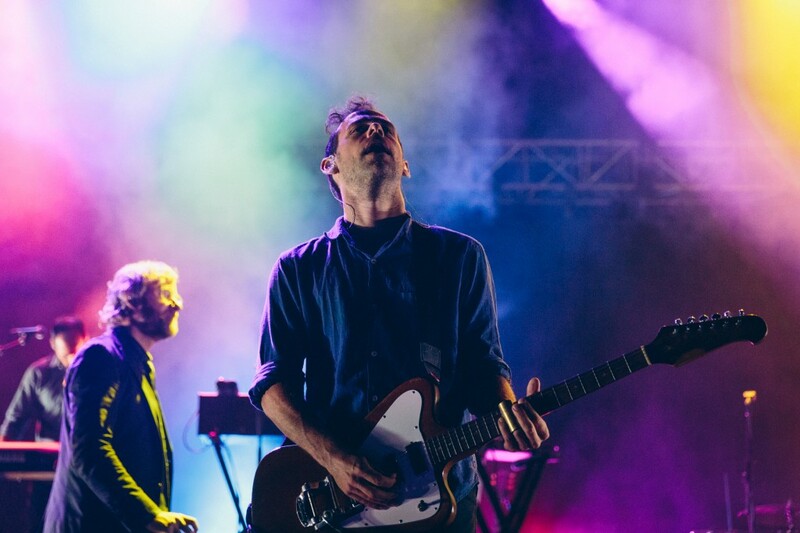 While Mogwai crept into our ears and took us under its Rave Tapes wings, The National chose to drain out our remaining energy by driving the crowd wild with classics from their albums like High Violet, and their latest studio album Trouble Will Find Me. 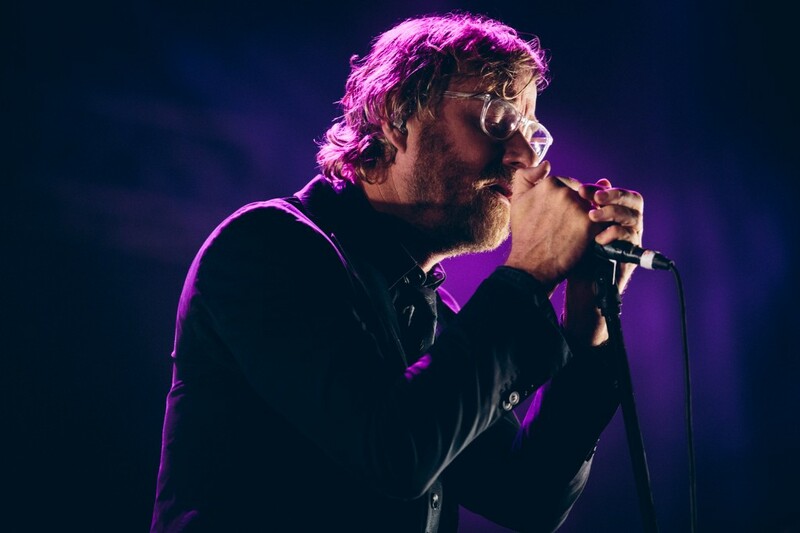 Lead singer Matt Berninger screamed, wailed and delivered his (passive) aggressive notes into the dark to the fans’ delight, and suddenly everyone was moving, dancing and/or pushing their way forward to reach the man himself. Berninger himself was not unaffected by the crazy pulse of energy radiating between the stage and the audience, and threw himself into the crowd while belting the lyrics to “Mr November”. He ran through fanatic groups who tried to chase him down, and still managed to get back on stage to end the night off with an almost touching acoustic rendition of “Vanderlyle Crybaby Geeks”. At that moment, we were whole with the night and The National. We are almost certain — somewhere between the big $12 hotdogs and The National — that Hostess Club Weekender is one festival that did everything right. We hope that they have already started planning for 2015.